Are you having power issues with your computer? Is the task of looking for verified computer repair technicians taking a toll on you? Too many software issues with your PC? Housejoy is your one-stop solution for all these problems. At Housejoy you can find verified and certified repair technicians. All you have to do is log on to their website, fill in your details and make an online booking for computer repairs according to your time and convenience. And your service is booked, as simple as that! Does your PC stop working just when you have to save an important file? Are you facing power issues with your PC? Go on to Housejoy.in and book a computer service in Hyderabad. The website is user friendly and you can easily book a service within a few minutes. The service provider also caters to other home services that include home automation, appliance repairs and much more. So next time your precious electronic breaks down and you need a PC repair technician skip the hassle of searching ‘computer repair shop near me’ and log on to Housejoy.in. Is your binge watching getting interrupted by your slow laptop? Are you surviving with the same problematic laptop because you are tired of searching for ‘laptop repair near me’ on the internet? Turn to Housejoy and solve this problem right away. Housejoy understands the task of looking for trusted technicians is not easy and consumes a lot of time. For this reason the service provider has a team of verified and certified laptop repair technicians who are trained to fix all sorts of computer problems for you. Fix your laptop or mac right away by just making an online booking for a laptop repair service at Housejoy.in. Is your laptop incapable of multitasking like you? Does your system crash when you have too many tabs open? Are you looking for laptop services in Hyderabad? Housejoy is your answer to the search for ‘laptop repair shop near me’. The service provider lets you make an online booking for a laptop repair service in the comfort of your home. With a few simple clicks and a few minutes your service will be booked according to your time and convenience. Housejoy will send their expert technicians to your doorstep and have your laptop picked up to have it fixed at the partner service station. Do you need to get your computer checked? Does your computer have problems you cannot fix and need a PC repair technician? Stop looking up ‘computer repair near me’ online and log on to Housejoy.in. You can find trusted and certified technicians without the hassle and stress of searching for hours on the internet. All you have to do is go on to their website and book a computer service in Hyderabad. Are you struggling to type out a mail on your laptop because half of the keys are missing? Do you need the keyboard of your laptop replaced? You cannot replace the keys with scrabble tiles, you need quality laptop services in Hyderabad. If you are looking for certified technicians, you can find them at Housejoy. With their website you can skip the process of searching ‘laptop service near me’ on the internet. Book a keyboard replacement service with Housejoy and they will have their laptop repair technicians sent to your doorstep. Are you trying to video call your best friend to share some big news or just trying to catch up after a long time but your camera isn’t working? Log on to Housejoy.in instead of searching for ‘laptop repair shop near me’. The service provider will send their expert to your doorstep as per your booking and have your laptop picked up to be fixed at the service station! Whether its on their website or the app you can book a laptop or mac repair service easily. Is your computer too slow to function? Do you have no time to look up ‘computer repair near me’ or even visit a repair shop? Housejoy offers you solutions for all your computer problems. Simply download the app or visit Housejoy.in and you can easily book computer repairs in Hyderabad. Their expert technicians will be at your doorstep to pick up laptop and have it checked and fixed at their repair station, saving your time and adding to your convenience. Do you have too many deadlines but your laptop just won’t work? You need experts in the field to have it fixed right away. And when you have Housejoy you need not look up “laptop repair near me” ever again. Just log on to their website or download the app and you can book laptop services in Hyderabad within a few minutes. Does your laptop hang too much when you are working on an important project that needs to be submitted soon? Have your laptop fixed right away with Housejoy. 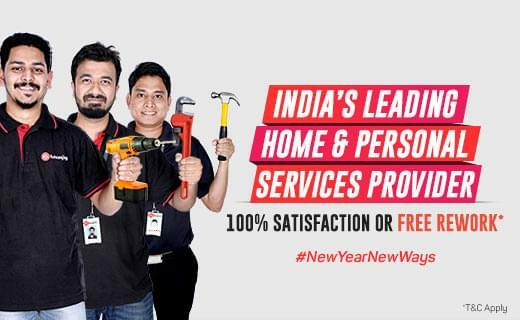 Their expert technicians will come to your doorstep and save you the hassle of going to a service centre by yourself. You can relax at home and easily book mac repair services online at Housejoy.in.